Valid only at AutoNation USA. Must present coupon when order is written. Not valid in conjunction with any other offers. Limit one coupon per customer. Not valid on prior service or sale. Tire sales and collision repairs excluded. Not responsible for typographical or printing errors. Customer is responsible for sales tax, shop supplies and hazardous waste fees (where applicable). Coupon void if altered. Expires 05/03/2019. Includes: Multi-point inspection, top off fluids & tire check. Free vehicle multi-point inspection report. Check, adjust, top off essential fluids. Inflate & adjust tire pressure. Must present when order is written. Not valid with any other offer. Valid only at AutoNation USA. Some models may be higher. Not responsible for typographical or printing errors. Collision repairs ad tire sales excluded. Coupon void if altered. Expires 05/03/2019. For a limited time only, Present this coupon and receive a standard oil change for $9.99 (valued at $19.99 less a $10.00 Pennzoil Instant Rebate)! Must present coupon when order is written. Not valid in conjunction with other offers. Some models may be higher. Prior sales excluded. Limit one coupon per customer. Not responsible for typographical or printing errors. Valid only at AutoNation USA. Coupon void if altered. Expires 05/03/2019. 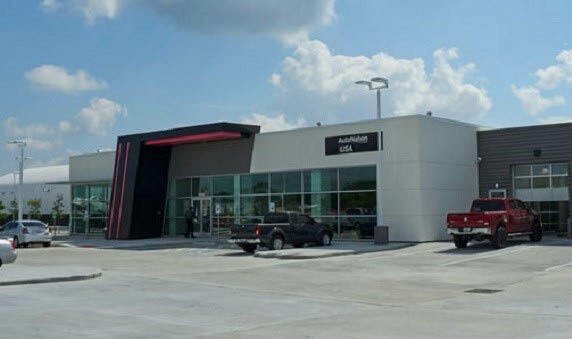 Count on AutoNation USA Service Center in Houston for your car care needs. From rountine maintenance, oil changes to tire rotation, our ASE Certified Technicians are here to help. We service all years, vehicle makes, and models. Maintaining your vehicle has never been easier! AutoNation Pit Stop, AutoNation Tires, Brake Repair, Oil Change, Tire Rotation. AutoNation Precision Parts Batteries, AutoNation Precision Parts Wiper Blades. If you need your car serviced in the Greater Houston area, we're here to help!.